Through this strategic alliance, they aim overall vehicle sales and financing of over US$ 400 million (Rs. 2,600 crores). Ola’s driver partners can now avail of an integrated and attractive ‘Mahindra-Ola’ package which will include Mahindra cars at special prices, attractive financing with zero down payment, and the best NBFC interest rates, subsidized insurance premiums, comprehensive maintenance packages, as well as exclusive benefits on the Ola platform. This unique alliance, which brings together two of India’s most prominent brands, seeks to encourage micro- entrepreneurship amongst drivers, to address India’s growing mobility needs. 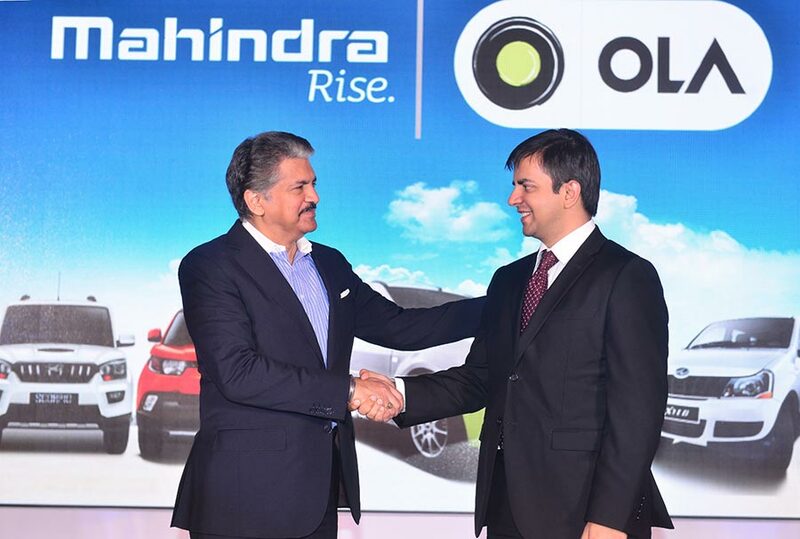 Mahindra and Ola will also explore other areas of joint collaboration to build the next generation of mobility solutions including those for unique transportation use cases. This is an initiative whose time has come, one that meets the current and future needs of Indian consumers, particularly younger ones who prefer shared mobility solutions. It also has a positive social impact on the lives and prospects of at least 40,000 driver owners, and their families. To me, this is an important strategic alliance for the Mahindra Group, one that I believe will change the contours of our industry, while giving us the first mover advantage in the fast growing Sharing Economy of India. We are delighted to work with an iconic Indian brand like Mahindra to further our mission of building mobility for a billion Indians. As part of the strategic alliance between the two companies, we have created a unique solution to help tens of thousands of aspiring driver- entrepreneurs realize their dreams. Our alliance with Mahindra will help build significant scale by innovatively building more mobility options and newer use cases in the time to come. The Mahindra-Ola package focuses on financial inclusion by empowering driver partners who otherwise may not be able to invest in a car, to purchase one at a highly affordable price, and at upto zero down payment. It will also support drivers with accident insurance and scholarships for their children. This aligns with Mahindra’s Rise philosophy of empowering people with the right products and services to enhance the quality of their lives, and Ola’s focus on building an ecosystem that supports the entrepreneurial growth of driver-partners across the country. Amidst the rapidly growing sharing economy, this strategic alliance will create immense synergies and address the country’s growing need for mobility offerings, which will play a key role in the realization of India’s socio- economic development agenda.